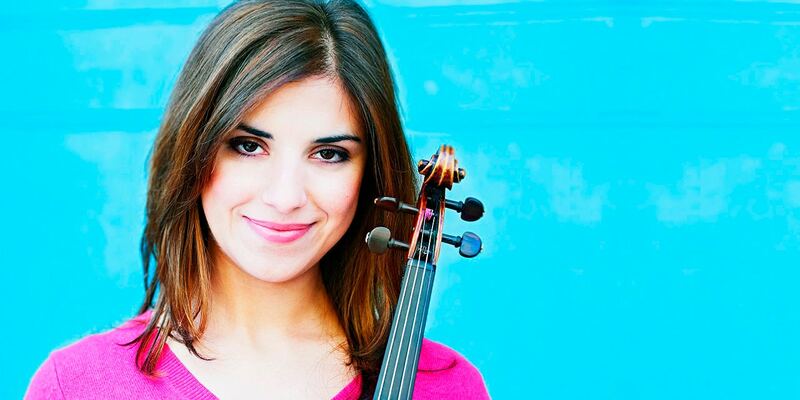 Rebecca Yerevag Greenstreet is an Anglo-Armenian violinist currently based in Minneapolis, Minnesota. Originally from London, Rebecca studied at the University of Cambridge before obtaining her postgraduate degree with Distinction from the Royal Academy of Music, where she held a Derek Butler Award to study with Remus Azoitei. Rebecca has also been the recipient of a Polonsky Foundation Fellowship, a Countess of Munster Musical Trust Award, as well as support from the Stephen Bell Charitable Trust. Rebecca has performed at music festivals both in the U.K. and North America including the Aspen Music Festival, the Banff Summer Arts Festival and the Mendelssohn on Mull Festival. These festivals have given Rebecca the opportunity to participate in exciting projects, from the Canadian premier of a Britten opera to performing a Piazzolla operetta alongside bandoneonist Héctor del Curto. Through festivals and master classes, she has also worked with and been coached by Paul Kantor, Donald Weilerstein, Maxim Vengerov and Levon Chilingirian. Rebecca’s collaboration with the Stradivari Trust began after her time in Cambridge, during which she was a finalist for the Nigel W. Brown Prize. She has since returned to Cambridge to perform, notably as soloist for the Beethoven Violin Concerto with the City of Cambridge Symphony Orchestra and in the Cambridge International String Academy recital series. Since moving to the U.S., Rebecca has freelanced as a violinist in both Colorado and Minnesota. She and her husband Ben Odhner relish performing together and are excited to include a duo as part of this program. Rebecca is delighted to play a Johannes Tononi violin, made available to her through a syndicate of the Stradivari Trust. When I started playing my Johannes Tononi violin, I immediately discovered an instrument that was an extension of my own musical voice. The violin enriched every mood and nuance I attemped to create, opening up scintillating expressive possibilites and a wealth of sound colours to explore. Together, Nigel Brown and The Stradivari Trust helped me to acquire this responsive and soulful instrument to play on at an early and crucial time in my development as a musician. With the support of the Trust and syndicate, I am able to build my performing career with the vital stability of knowing that I can continue to play on, and grow with this fine violin.